Philip E. Silvey: Bio & Choral Music | Santa Barbara Music Publishing, Inc.
Philip Silvey is Associate Professor of Music Education at the Eastman School of Music where he directs the Women’s Chorus and teaches undergraduate and graduate courses in the Department of Music Teaching and Learning. Previously he taught at the University of Maryland where he directed the Women’s Chorus, the Maryland Boy Choir, and the College Park Youth Choir. He has been an invited guest conductor, clinician, and adjudicator in numerous states and directed state honors choruses in Maryland, Virginia, New York and New Jersey. 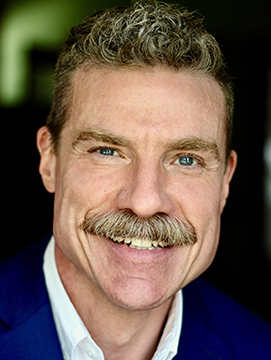 He has served as president of the Maryland-DC chapter of the American Choral Director’s Association (ACDA) and Repertoire and Standards Chair for Women’s Choirs for the New York state chapter of ACDA. He has presented interest sessions at national, regional, and state ACDA and NAfME (National Association for Music Education) conventions. He has contributed to two textbook series, Experiencing Choral Music and Teaching Music through Performance in Choir, Volumes II and III. His scholarly writings have appeared in the Journal of Research in Music Education, Music Educators Journal, Choral Journal, and the Arts and Learning Research Journal. His original choral compositions and arrangements have been performed by all-state and national honors choruses. Philip E. Silvey has 18 titles published with Santa Barbara.